Players is your one-stop shop for all things volleyball! We run tourneys year round in Chicago & the Midwest! Choose from beach & grass in the summer or indoor in the fall, winter & spring! Follow the links for more info! 5/4 - Indoor Luau Championships @ Top Flight - Register Here! 5/11 - Players Beach Series #1 @ North Avenue Beach - Register Here! 5/18 - Spring Grass Luau @ Diversey Fields - Register Here! 5/19 - Players Beach Series #2 @ North Avenue Beach - Register Here! 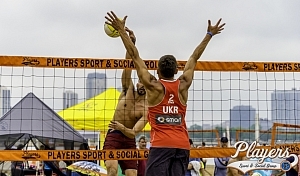 6/1 - SHORT Man/Women 2's @ North Avenue Beach - Register Here! View all upcoming volleyball tournaments!